I was wandering through the blocks on Quilter’s Cache and came across this block. So, I broke out the graph paper and began to draw. I decided to make a 12″ finished block. That would require 4″ finished units. I identified Quarter Square Triangles. These units are made with your Tucker Trimmer. I checked the chart in the ruler instructions. 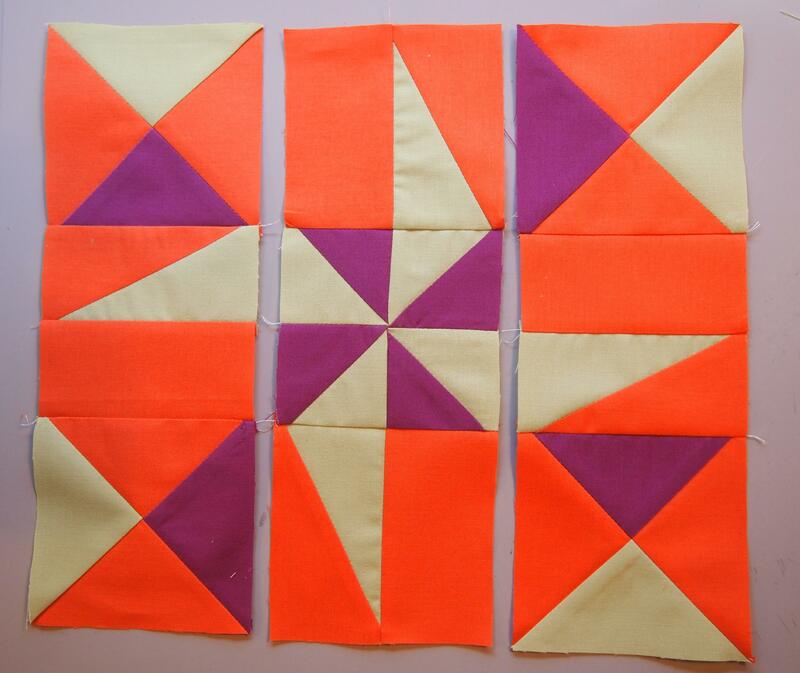 To make a 4″ finished unit I cut two orange 5 1/2″ squares, one green 5 1/2″ square & one maroon 5 1/2″ square and followed the instructions. 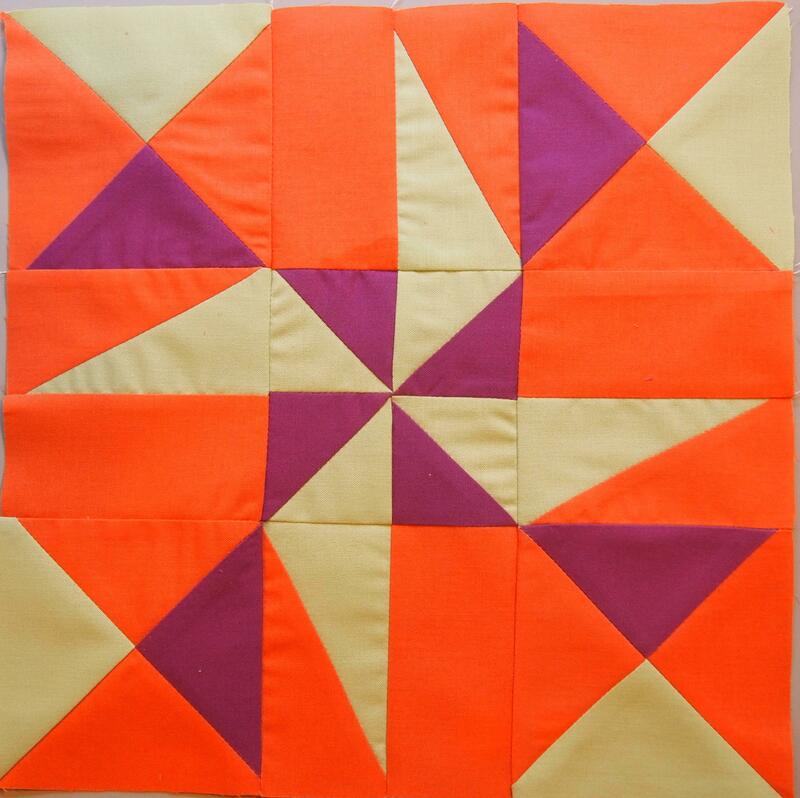 From the four 5 1/2″ squares I was able to get 4 Quarter Square Triangles required for one block. 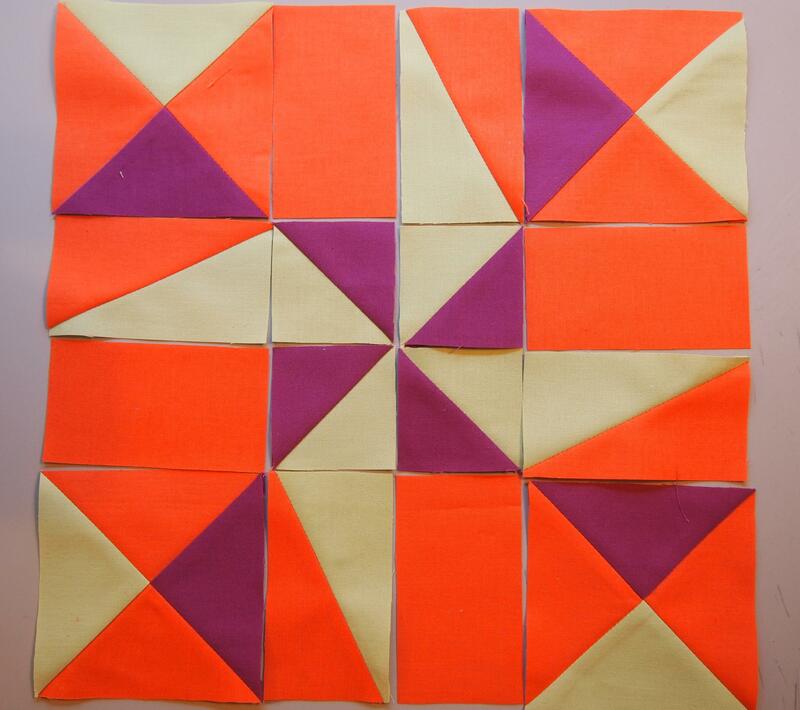 The center of each block requires 4 Half Square Triangles. The center should be a 4″ finished unit. Each Half Square Triangle should finish at 2″, the Tucker trimmer instructions told me to cut my starter squares at 3″ and I follow the directions from there. Sew the units into rows, and then join the rows. Below are 4 blocks sewn together. I like the secondary designs that are created. 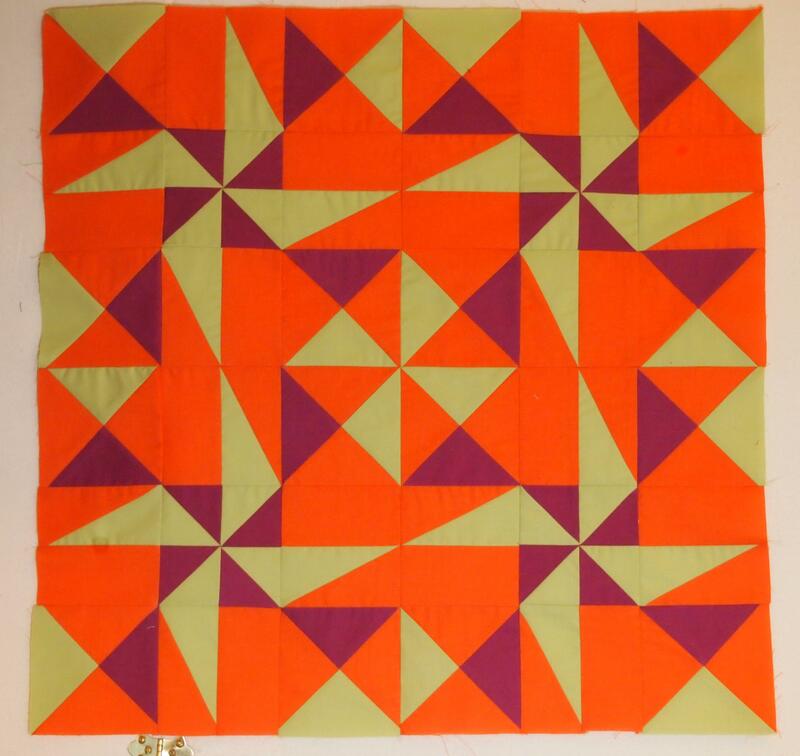 This entry was posted in Block Detective and tagged Deb Tucker, quilting, Quilts, Split Rects, Studio 180 Design, Tucker Trimmer on January 15, 2014 by ifthesethreadscouldtalk.